I went to Sally's a while back with my official shopping partner. She is totally an enabler, by the way. I picked up $30 worth of stuff that night. EEk! But this stuff makes it all worth it. This is definitely a 5+ coat polish. But I'm strangely ok with that. 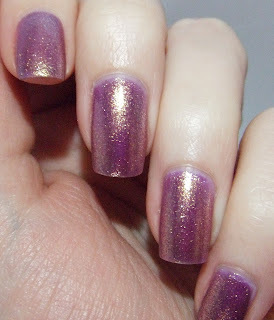 I think that next time I wear this, I'll layer it over Rimmel London Wild Orchid. I applied four coats, and in direct light I could see streaks. But in most light, there is so much shimmery goodness going on that you can't really tell. I have officially reversed my position on Orly. (ORLY?) 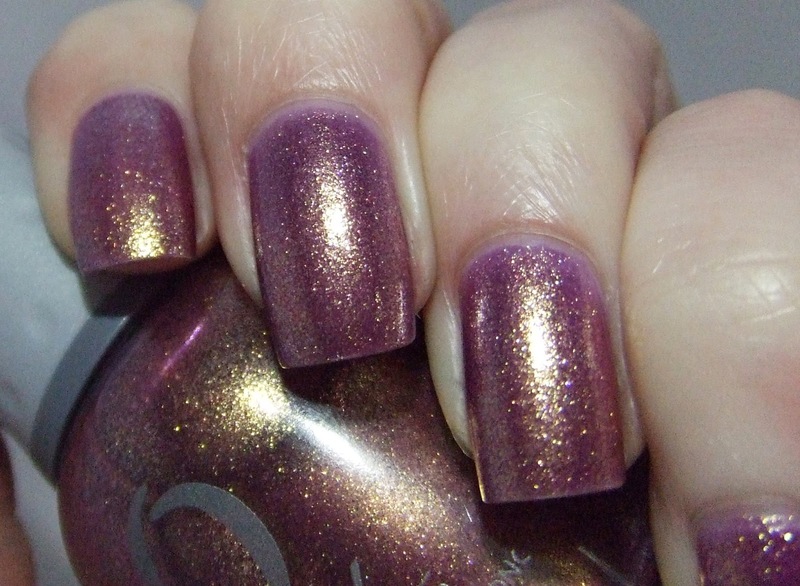 I had a couple of polishes from them years ago, and I was less-than-impressed. 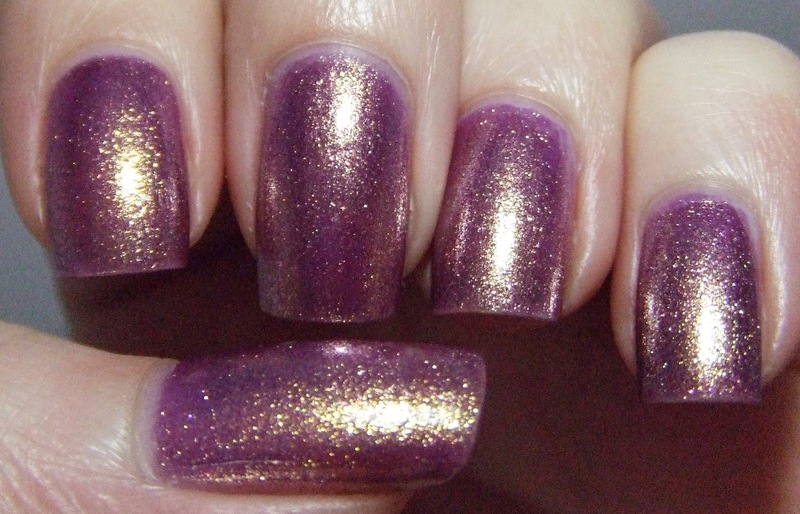 But this polish made me a believer. The handle on the brush is long, which is great for someone like me with bigger hands, and padded for comfort. The brush spreads out wonderfully over even the most curved of nails. Best of all, it doesn't reek. Four coats here. So much shiny! 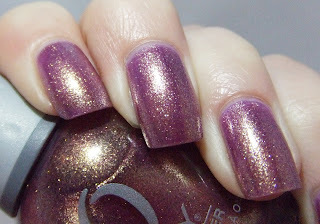 This polish has been on my lemmings list for so long! I love it, and it never disappoints! As you say, I'd layer it because I lack patience... But man, I don't know if I'd take it out! Zoya Daul and OPI Its My Year are all dupes or near dupes of this color if you can't find the Orly.